The Chinese zodiac considers 2018 the year of the dog, but canines weren’t the only creatures to make headlines in Edmonton this year. The Chinese zodiac considers 2018 the year of the dog, but canines weren't the only creatures to make headlines in Edmonton this year. From sabre-toothed squirrels to giant goldfish, creatures of all shapes and sizes were newsmakers this year. As has become tradition at CBC Edmonton during the holiday season, we take time to look back at the animal stories that warmed our hearts in the past year. Here are some of our favourite homegrown animal stories from 2018, in no particular order. Goliath, Gunther and Gasket were hounds in search a new home big enough to accommodate their combined 350 pounds. The Edmonton Humane Society issued a special plea on behalf of the St. Bernard brothers — who were so bonded they could not be adopted out separately. The gentle giants won the hearts of people worldwide, and the shelter was overwhelmed by hundreds of applications from would-be adoptees. The dogs have since settled in to their "perfect fit" home in Calgary, where they like to frolic in their spacious backyard or steal any tasty table scraps left unattended in the family kitchen. 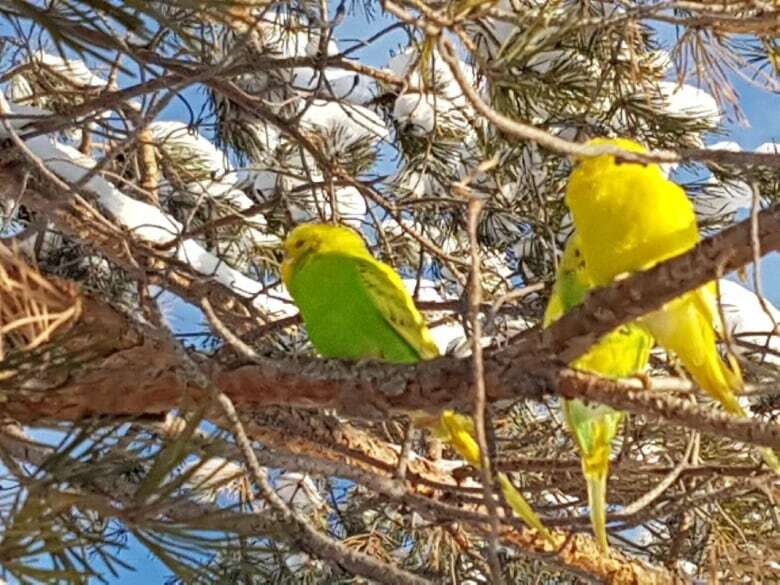 When budgies were spotted roosting in an icy north Edmonton park, nearby residents rushed to rescue the birds. A search party of local parrot lovers was soon assembled. Volunteers spent hours searching the Klarvatten neighbourhood and managed to capture nine of 12 of the escaped birds. "We were climbing trees and climbing fences," said Bernadette Neumann, who led the impromptu rescue mission in early December. "They ran around like lunatics with nets in the snow." It's unclear how the birds escaped into the cold. In the end they were delivered to a warm roost at the Edmonton Humane Society. Jannet Lee Talbott ​couldn't believe her eyes when she spotted a squirrel on the backyard bird feeder at her Barrhead horse ranch in June. The creature's teeth had grown so long they curled out of his mouth and around his cheeks. Talbott captured the sabre-toothed creature, swaddled it in a blanket and got to work with some razor-sharp wire cutters. 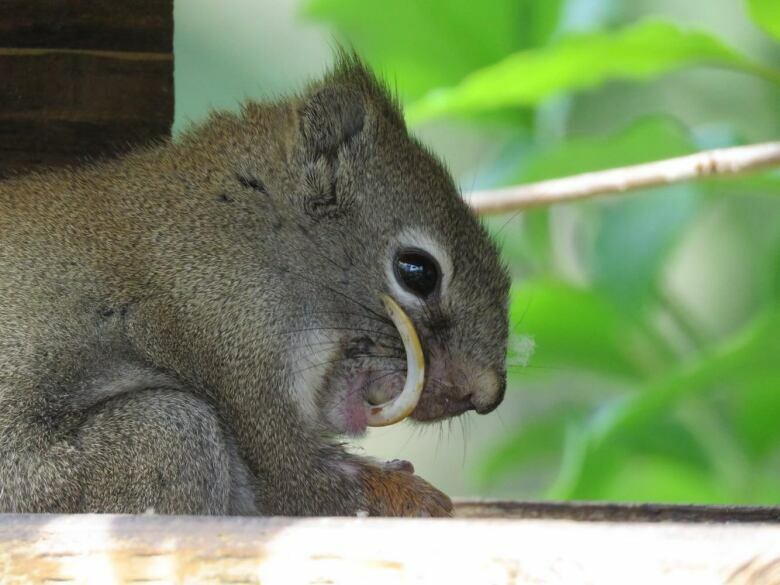 Her dentistry skills paid off and the toothy squirrel, since nicknamed Bucky, is once again fattening up on nuts. Before her death, Colonel Slade enjoyed her favourite meal — field mouse and quail meat. 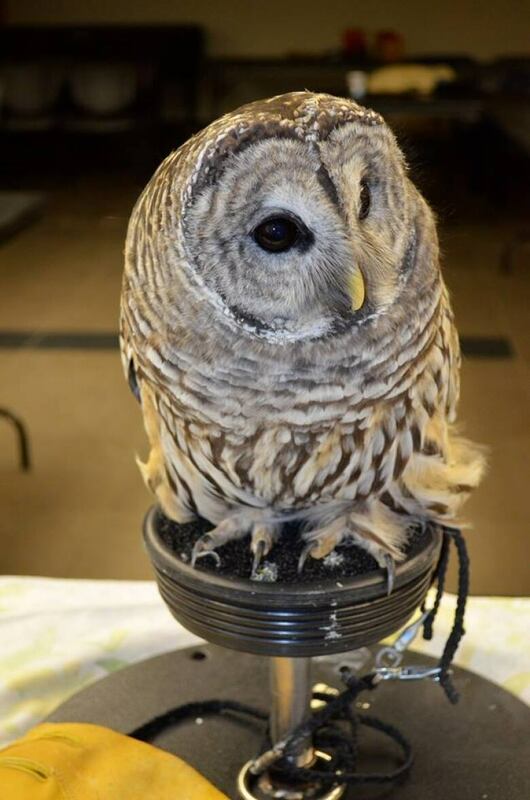 The half-blind barred owl died in November at the age of 16. Named after the cantankerous army ranger character in Scent of a Woman, Slade had become a mascot in Alberta's animal welfare community. The owl spent years visiting schools and rescue agencies, helping to teach thousands of Albertans about forest conservation and the plight of her species. Slade's death prompted an outpouring of condolences, and fond memories from her longtime caretaker. "She was about the size of a loaf of a bread, more barred than striped," said Gord Court, a provincial wildlife biologist who acted as caretaker for the bird. "She was very, very beautiful. 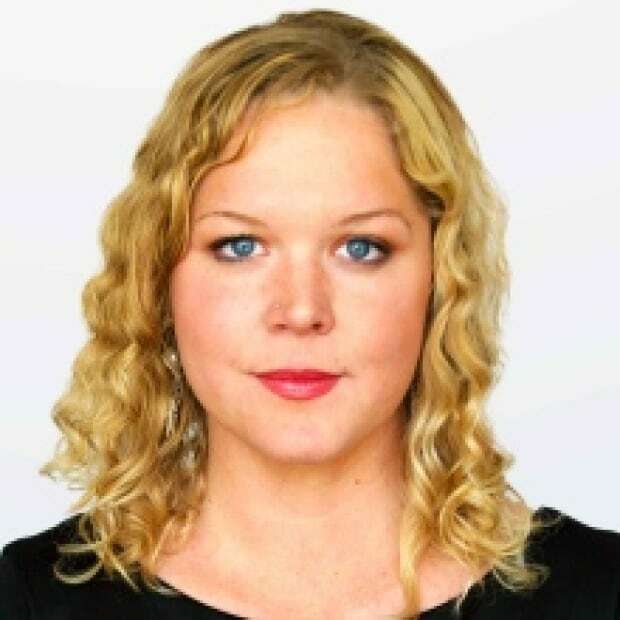 "She was perfectly suited to deliver the message. We will miss her." Squirrels of the sabre-toothed variety weren't the only ones getting into trouble in 2018. One squirrel in particular caused a mechanical nightmare for Ariel Durkin, after it went nuts for her Subaru. The rodent crammed hundreds of pine cones into the engine compartment, along with peanuts, rotten apples, even a few rocks. Durkin said the suspected culprit lives in a nearby tree and is a regular rabble-rouser in the neighbourhood. Even though he tried to sabotage her ride, Durkin felt guilty for flinging the squirrel's food stash into the snow. Later that night, she went back out to her driveway and collected them in a box for the squirrel to find. Durkin suspects her vehicle may be busted. Some of the pine cones are permanently lodged in there. "There are so many engine parts in the way," she said. "You would need tiny little squirrel hands to be able to reach in there." This story proved, once again, that friendship really does come in all sizes. Bruce the Rottweiler and Cashew the duck were an unlikely match. They became the talk of the town in Thorsby, Alta., where they often greeted customers at the local pet shop operated by their owners. When Bruce died in March, Andra Novakowsky never imagined her pet duck would find another canine friend. After a long, lonely summer for Cashew, the family adopted a pitbull-mastiff mix named Onyx. The duck and the new dog immediately forged a cross-species friendship. The unlikely pair often cuddle up on the same bed and begrudgingly share treats and toys. "Onyx is so sweet," Novakowsky said. "It's so great that Cashew has a friend again." When 11-year-old Luke Hebb felt a fish nibbling on his line in August, he had no idea the catch of the day would be quite so big — or so orange. 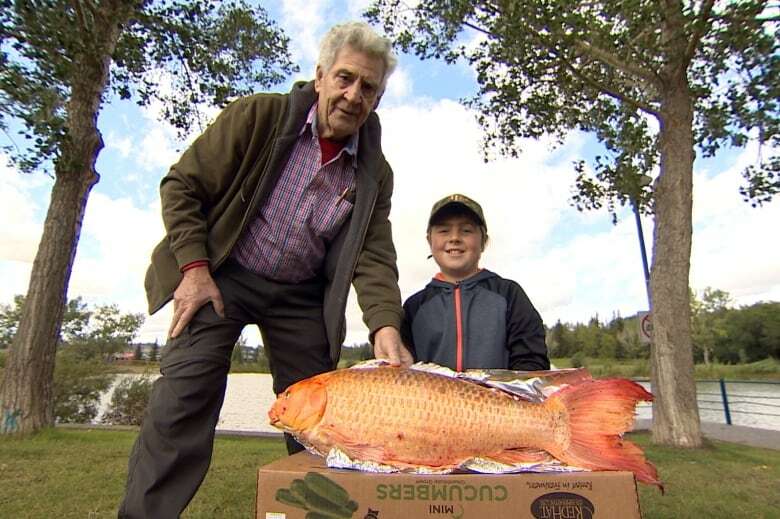 Using a hot dog as bait, Hebb reeled in a 16-pound koi out of Lacombe Lake in St. Albert, one of many of the invasive goldfish that inhabit local ponds. The 30-inch monster didn't go down without a fight. "Luke had quite a tussle with that fish," said his grandfather, Robert Aloisio. "He brought it around to the shallow end and he jumped in the lake and rassled that thing up." You could say pigeons lovers are coo-coo about their feathered friends. Despite a reputation for being dirty birds, plenty of Albertans happily own pigeons of the racing or fancy variety. Pigeons are perfectly legal in Edmonton. You are allowed to keep up to 75 of the birds, as long as you get a licence to do so. The city doesn't have an exact tally on the number of pigeons but said a total of 56 pigeon licences have been issued and each permit is good for up to 75 birds. ​The birds rarely ruffle any feathers with city residents. 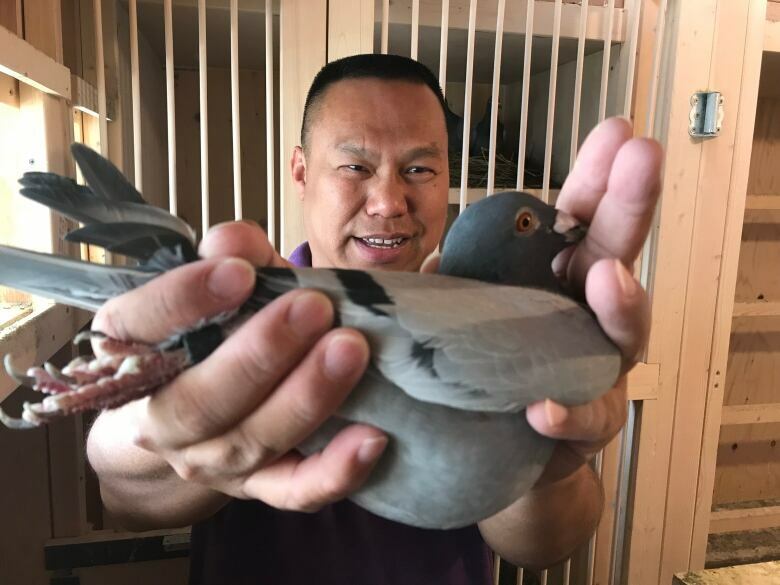 Duong Bach, who keeps more than 60 homing pigeons in his backyard, said people often misunderstand the birds' allure. "They don't know what a racing pigeon is. They think it's a wild bird that poops all the time," he said. "If you want a competitive racer, the bird has to be in good health and you don't let them out on a full stomach." A homeless beaver named Sawyer has carved out a new home for himself inside an Edmonton-based animal hospital. 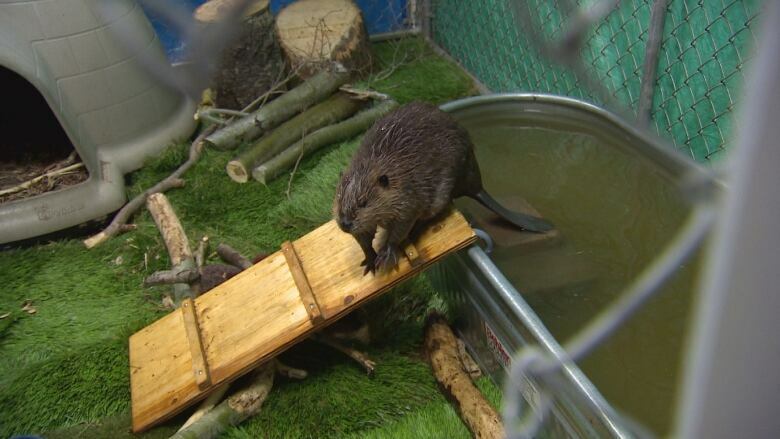 The little beaver was brought into the the WILDNorth rescue agency this fall after someone spotted him crossing a highway near Wetaskiwin, dragging his hind legs. He will be a resident of the rescue until he reaches maturity two years from now, prompting an urgent need for donations for his care. Until Sawyer is strong enough to return to the wild, you can watch him swimming and chomping down on his personal wood pile during a regular livestream updates.